Get back your independence without disrupting your normal routine or risking further injury from the comfort of your home. Private Therapy Services offers Physical Therapy in the comfort of your home. We successfully treat various orthopedic, post surgical, balance, function and neurological injuries and, best of all, we come to you! Your in-home therapists use creative methods to diminish pain and reeducate the body’s proper function by customizing a rehabilitation program around the environment and specific needs of each patient. This includes evaluations, treatment, and education for individuals with total joint replacements, orthopedic conditions, neurological disorders, post-surgical procedures, stroke rehabilitation, balance or strength needs. 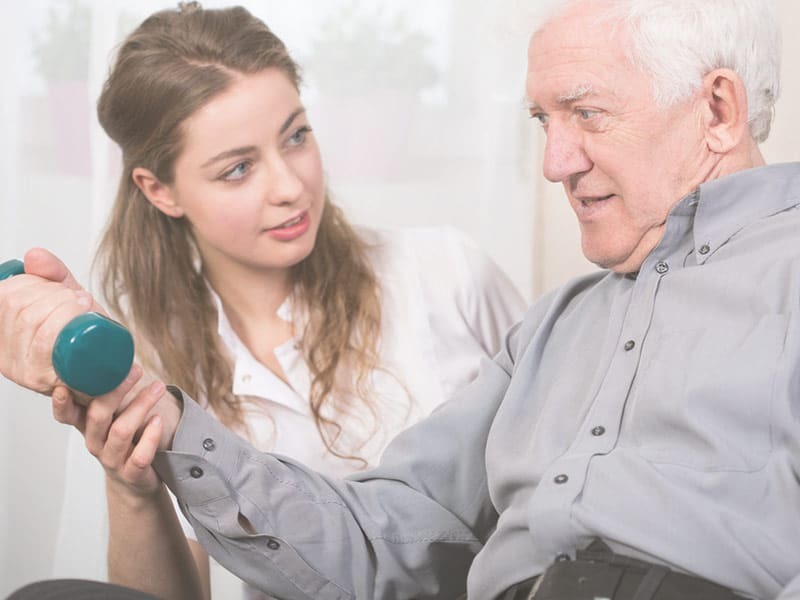 This type of Home Therapy is considered a Part B service and can not overlap with Part A home health; This means your visits are covered by insurance the same as a regular out patient visit. You can call our office for additional clarification.